All cleaning technicians are insured, professionally trained, near you and 100% ready to assist you with chores. All cleaners and maids go through introductory training and on-field practice. 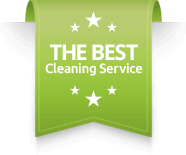 Also, we regularly monitor all work done and ask you for feedback and reviews so we can make sure that the private cleaning service you receive satisfies each and all your needs. For weekly and fortnightly private home cleaning services, our Cleaners receive extra training for handling laundry properly. If you have any special/private requests, you can always share them with us. Also, the cleaning checklist can be adjusted to suit your personal requirements. How does our house cleaning program work? We start with a thorough detail-clean throughout your house over the course of the first two cleans. On the first clean, our maid service will thoroughly clean your apartment, with special attention on your kitchen and bathrooms. On the second session, we’ll clean your entire apartment, but this time we’ll provide detail-clean services in your sleeping and living areas. We’ll continue to maintain this detail-clean level throughout your home throughout our next visits by providing deep cleaning services on a rotating basis. What is included in your private house cleaning service? Clean all Bedrooms: dusting of reachable surfaces, change of bedding, polishing of mirrors, empty bins/change bin bag, hoover and/or mop the floor, wipe all skirtings. Sanitise Bathrooms: sanitise all reachable surfaces, clean the shower cabin and/or bathtub, sanitise the toilet, clean and polish mirrors, mop the floor, empty bins/change bin bags. Disinfect the Kitchen: wipe and sanitise all surfaces, clean hobs/splash-back, clean microwave, vacuum and/or mop floor, empty bins/change bin bags, clean all skirtings. Please mind that dip-tank oven valeting is not included in the service, but is available upon request for an additional charge. Dust off your Living room: dust/polish all reachable surfaces, wipe all furniture, empty bins/change bin bag, hoover and/or mop the floor, clean skirtings. Wipe Hallways & Staircases: dust off reachable surfaces, wipe skirting boards, wipe bannisters, hoover and/or mop the floor. Your domestic cleaner will follow a list of cleaning duties prepared in advance but you can add anything you wish to the list. There are no contracts involved. We only ask you to give us a 3-day notice if you want to terminate your regular cleaning subscription. Yes, we will first check the availability of your current cleaner and see if they can come at another time. Тhere’s no need to prepare anything as you can always rely on us to bring our own cleaning products. We use only Eco-Friendly products! Absolutely no, everything is included in the final bill you receive.